When its time to re-roof, do it right. Get a FORTIFIED roof to better resist damage from hurricanes, hail and severe storms. FORTIFIED HomeTM upgrades are affordable, may lower your insurance rates, and can further increase property values. There’s more to a good roof than shingles, learn how simple it is to protect your home with a FORTIFIED roof. Q: 1) I need a new roof, what should I consider? If you do not have damage - you have time to consider your options. Your concerns could be from the age of your roof, inadequate or incorrect installation or perhaps your insurance company told you it was time for a new roof. Either way, learn more about how you can re-roof your home to reduce risk and save money on insurance by putting on a stronger, better roof. A small increase in price up front can save you on your annual insurance bill, and if you have a claim, it can save you then too. If you do have damage- follow our advice for filing a claim, working with an adjuster, negotiating your claim and avoiding fraud. Find out if you have Ordinance and Law coverage. It could help you upgrade to a stronger FORTIFIED roof. Filing a claim can be confusing depending on the policies and process of your insurer. Typically, your home insurance policy will have a section about filing a claim. Start there first. Next, contact your agent, call your company or go online. These days many companies let you start the claims process online. Are you selling your house? If you’re selling your home and are looking to increase its curb appeal and property value, a new roof will factor in. Most home shoppers cannot overlook an old, worn out roof. It's a significant expense for the seller, but it’s one of the few housing investments that return more than you put into it, up to 109% according to HomeAdvisor. Property value increase – A study from the University of Alabama has shown that a certified FORTIFIED home is worth 7% more than comparable homes. That typically covers the costs of any upgrades from a “normal” roof you'd pay out. Safety – Many people worry about the safety of their families in storms. A FORTIFIED home will better protect them and their possessions. FORTIFIED keeps the rain out, and when a storm does come, there is much, much less risk that the home will be severely damaged and that family can move back in quickly afterward. That's not the case with a typical home, usually, if a home’s roof is damaged and water gets in, it can be weeks or months before its livable again, and likely they've lost many of their belongings too. Where will they stay, how will they pay for it? With FORTIFIED, that's not much of a worry. Insurance savings – The FORTIFIED certificate, or Designation, stays with your address and is transferable. That means you can pass any insurance savings to the next owner. A selling point, lower insurance costs. What type of roof do you want? Metal, shingles, slate, rubber, concrete? All these types of roof coverings are options for you when you re-roof. The most common are shingles. Metal roofing is widespread in coastal areas, and it lasts a long time. Read an article where we compare many of these options for you. Q: 2) Why do I need a better roof? A better, FORTIFIED roof can save you money on insurance, paying you back over its life and increasing your property value. It better protects you from high winds, storms, hail and most importantly, it keeps the water out when the worst storms come. Roofs are a system, not just shingles, wood and tar paper. They can be pretty complicated. If one piece fails, like shingles flying off in high winds, a standard roof may easily let water get inside your home and destroy all of your irreplaceable, precious stuff. That's a big bill and insurance may not cover all of it. At the very least, you’re out your deductible. In 19 coastal states, that falls under your Wind Insurance deductible…5%, 3% maybe even 10% of your home’s value for each claim! We know deciding to get a new roof is a big, expensive and long commitment. Take the time to learn more before investing in your new roof. You will be stuck with your decision for a few decades. Q: 3) FORTIFIED roof vs. a normal roof? FORTIFIED Home is a nationally recognized building standard based on over 20 years of research and testing by the Insurance Institute for Business and Home Safety (IBHS). You know the crash test dummies for cars used by the Insurance Institute for Highway Safety? Same idea, but IBHS "crash tests" houses and buildings in their Research Center to learn how to build them better and stronger, making them more disaster-resistant. Check out this video to see FORTIFIED Home vs. traditional, inland construction! FORTIFIED goes beyond most current building codes (it is code-plus) and strengthens your home against storm damage. It's a unique, common sense approach to construction requires documenting and verifying all aspects of work. It's the documentation and verification that's key to protecting you and your possessions. Watch this video and learn about the FORTIFIED program in three minutes. You probably heard that the certificate is good for five years in that video, right? That's because a FORTIFIED designation is renewable! Unlike a “new roof discount” that goes away in five years, with a FORTIFIED roof you'll have your home re-inspected by a FORTIFIED Evaluator after five years to make sure your roof has at least five years of life left. They also make sure your home hasn't been damaged or if you've added on, that it's been done to the FORTIFIED standard. This inspection process ultimately means that your insurance discount will not depreciate over time, depending on the policies where you live and your insurer. Q: 4) How do I get a FORTIFIED Roof? Here are the eight steps we recommend. The first - hire a FORTIFIED Evaluator. After that, much of this will be done for you. Contact a FORTIFIED Evaluator - Do this first! They’ll evaluate your home and create a Current Conditions Report. Review Your Current Conditions Report - This tells you what needs to be done to get your FORTIFIED roof. It also serves as a scope of work for contractor bids. Get proof that roofers and contractors are licensed, bonded and insured (general liability and workman's comp). Make sure contractor bids include all of the requirements for the “FORTIFIED Home™ Bronze Designation” from your Current Conditions Report. If they don't, or worse, won't do it: get another quote. Roofers and contractors can be very specialized. Make sure they can perform all the work needed to get your roof to the FORTIFIED Bronze level. Choose Your Contractor - While any contractor can do the work, (as long as they strictly follow the guidelines), FORTIFIED Wise Professionals™ are certified and have gone through specialized training to understand the program. Use the Right Products - Using the right products is key to FORTIFIED. Installation is the other key. Your Evaluator can help your roofer or contractor choose the right materials. Take Action - Let your Evaluator know you’ve decided to get a “FORTIFIED Home Bronze Designation” for your roof. The Evaluator must be involved in the process from start to finish. Connect your Evaluator and contractor by phone, email, text or in person. Your Evaluator will come out during the work and after the project is complete. The number of visits will depend on the work needed. Document Your Project- Your Evaluator will document and take pictures of the work, the products, and the installation. They then submit a detailed report to IBHS engineers who review and award FORTIFIED Home Designations. Save Money - Once you receive your FORTIFIED Home Designation (a certificate), shop for your insurance and save money on your insurance! We recommend getting three-five quotes; you may be surprised at the savings available. Once you decide on an insurer, give them your FORTIFIED Designation certificate to start saving. Your savings will vary based on where you live and your insurer. FORTIFIED Roof System - Hurricane from IBHS on Vimeo. Q: 5) I have lived here forever and never had any damage, why should I get a FORTIFIED roof? Not all homes are damaged during storms. As roofs age, they begin to lose their ability to resist the wear and tear Mother Nature dishes out. Your roof may survive one storm only to sustain significant roof damage several years later due to the effects of weathering and exposure. FORTIFIED homes have been proven to survive with less damage, giving you a better chance of returning to your home after a storm and being able to sleep in your bed. Q: 6) Can I put a new roof over my old roof? Just because you can, doesn’t mean you should. Some building codes allow for this, but IT IS NOT recommended. Putting a new roof over an old shingle roof is never a good idea. It can make the roof vulnerable to leaks and severely restrict your insurance coverage options. The best practice is ALWAYS to remove the old roof covering to allow for an inspection of the roof decking for rotted wood or a weak roof deck that needs additional nailing. Q: 7) Is the "New Roof" discount the same as the FORTIFIED roof discount? While some insurance companies may provide a small credit for a new roof, it is typically much lower and can’t be renewed like the FORTIFIED Home discount (meaning it goes away after five years or so). Keep in mind too; a FORTIFIED roof is designed to protect the interior of your home and your possessions from water damage. A “normal” or code compliant roof is not. As always, your discounts will vary based on the level of FORTIFIED you achieve and where you live. Q: 8) How do I choose a good contractor? Get at least three bids from qualified contractors - don’t give a price range or let them know what you’ve received from your insurance claim. A Bond to fix any bad work they refuse to fix, just in case. At least 3 references you can call. Examples of recently completed projects. Get everything you want to be done in written bids on company letterhead. Do not leave anything out and also, ask that they plan for additional costs such as replacing rotted wood or other typical items they think they could find. You may not end up paying for these but having them in the contract protects you from “surprise” costs. Ideally work with local, reputable companies and contractors. Once you select a contractor, get your contract in writing, again with everything you want and agreed about on company letterhead. Don't forget those possible additional costs. It's okay for contractors to request a certain percentage of the costs up front as long as you have researched them and are under contract. 10-25% is common. Some states have limits on the amount contractors can request. Contact your local Consumer Protection Agency for more information. Flooding is the most common, and costly, disaster. It happens in every state, and over 25% of all flood claims come from homes that are not in a flood zone. If you’re not in a flood zone, insurance is affordable! Remember, flood damage is not covered under homeowners insurance. Learn how to reduce your risk of flooding and considerably lower your flood insurance rates with our resources. If you get a sinking feeling, contact us. Q: 1) How do I find out if my home is at risk of flooding? The easiest way is to go to FEMA’s Map Services page - https://msc.fema.gov/portal - and then enter your address. In the middle of the page click on the “VIEW WEB PAGE” Icon. The colors in the legend depict the location of your home in the flood zone. Another simple way is to search on Google. Often your county or local jurisdiction will host flood maps on its web-page, as a service to residents. So, Google: “name of county” flood maps. If none of this works, then contact your local floodplain manager. Part of their job is to provide you with this type of information. Q: 2) How do I get flood insurance? Ask your insurance agent who holds your homeowner policy about flood insurance. Flood insurance is separate from Homeowners Insurance. Even if you have homeowner’s insurance, you are not covered for flood damage unless you have a separate Flood Policy as well. If your insurance agent advises that you do not need flood insurance, you should seriously consider getting a new agent. Shopping your coverage every couple of years is a sound decision regardless. Communicate with your insurance agent and know your policy. Learn more about flood insurance on our Flood Insurance page. Q: 3) How can I lower my flood insurance premium? Mitigate. One way to reduce your rate is to reduce your risk because premiums are based on risk. For example, you can fill in a basement or install flood vents in the crawl space beneath the lowest level of your building. When remodeling or rebuilding, you can consider elevating your entire structure. Something as simple as raising heating and cooling systems, water heaters, the electrical panel, and other mechanical items so that they are less likely to be damaged or destroyed by a flood may offer some premium savings. Encourage community action. You can encourage your community to participate in the Community Rating Service (CRS). Apply for a Letter of Map Change (LOMC). Flood maps are developed on a scale that is useful for community officials, lenders, and insurance professionals, but not every rise in terrain can be depicted at this level. If you think your building is imprecisely mapped as being in the floodplain, FEMA provides a process to allow property owners to request a more precise flood zone designation, which can officially change your BFE. Consider a higher deductible. Just as with automobile or homeowners insurance, increasing your deductible will lower your premium. A new $10,000 deductible, available to homeowners as of April 1, 2015, will result in up to a 40 percent discount from the base premium. However, using the maximum deductible might not be appropriate in every financial circumstance and might not be allowed by lenders to meet mandatory purchase requirements. This increase also means that you need to have your deductible saved in the bank. Q: 4) What can I do to protect myself? Start with insurance – If you are outside a 100-year floodplain, insurance is affordable. As low as $425 a year for a preferred risk policy. If you want to lower your insurance, even more, get an Elevation Certificate. This tells you and your insurance company exactly where and how high your home is relative to the flood maps and Base Flood Elevation. Q: 5) What important terms, keywords and concepts should I know related to floods and flood insurance? In a 100-year floodplain (aka, Special Flood Hazard Area), there is a 1% chance of flooding in any given year. This is an area of highest risk of flooding designated by FEMA. In a 500-year floodplain, there is a .2% chance of flooding in any given year. This area has less risk than the SFHA, but this doesn't mean you won’t flood. In fact, in some parts of the country, nearly 40% of flood claims come from this area. The BFE is the elevation to which floodwater is anticipated to rise during a regular flooding event. The BFE is the regulatory requirement for the elevation or floodproofing of structures. This certificate provides you a level of protection since it proves your Base Flood Elevation and helps you attain flood insurance. Make sure to get a copy of your Certificate and keep it for your records, as you’ll need to provide it to your insurance agent. Special is not good in this case. Do what you can to reduce your risk and lower your insurance rates. The first thing is to find or get your elevation certificate. This certificate will let you know how high the lowest floor of your house is compared to the floodplain. Next, get flood insurance. Since you have a higher risk of flooding, you’ll want to be covered when something happens. If you plan to talk with your local floodplain manager, ask him or her about options to mitigate your risk. Freeboard is the difference in height between the lowest floor of your house and the BFE. Some communities mandate either 1’, 2’, or 3’ of freeboard in local code. This measure is put in place to helps your home stay dry during a flooding event. The more freeboard you have, the more your flood insurance premium will be reduced! The National Flood Insurance Program is a flood insurance program that aims to reduce the impact of flooding on private and public structures. Download this FEMA FACT Sheet for information about the National Flood Insurance Program and Flood Insurance. CRS is a voluntary incentive program that recognizes communities for implementing floodplain management practices that exceed the NFIP minimum requirements. In exchange for a community’s proactive efforts to reduce flood risk, policyholders can receive reduced flood insurance premiums. For more information, visit www.FloodSmart.gov/CRS. Q: 8) I own a slab-on-grade house in a SFHA, is there any hope? Kind of. Flood insurance rates are on the rise, and it is difficult to elevate these types of homes to reduce the risk. Buy flood insurance, and if you get flood damage, then you can use Increased Cost of Compliance (ICC) money to mitigate. If you want more options to reduce costs, we suggest talking with your local floodplain manager. Disasters can be large such as hurricanes or small, like a local thunderstorm or fire. They’re stressful, they feel personal, and then, you have to deal with the outcomes. These resources can help you start your recovery. Find information to help you begin repairs, file an insurance claim, work with an insurance adjuster, negotiate your claim, take steps to recover, work with FEMA, and tips to build back better. You don’t have to go through this again or alone. Use our Hurricane Prep Guide to get started. Q: 1) Where do I start? First, make sure your home or property is safe to enter. Take Pictures - Get out your phone or camera and take pictures of everything before you start cleaning and repairing. Yes, BEFORE! You will need more pictures than you think you need. Different angles, wide shots and close up. Pictures of labels. The serial and model numbers of electronics. Down your hallways, into bedrooms, looking out of rooms, outside, inside. You cannot take too many pictures. Seriously. These will help you negotiate your claim with your insurance adjuster. Home Inventory - If you have a home inventory, secure it. If you have old receipts of purchases, take pictures of the receipts. Digital images don’t fade, receipts do. Plan to do this with any receipts you get for future purchases. Save everything to a flash drive or a cloud drive like Google, Amazon, iCloud, or Dropbox or email it to yourself. File your insurance claim - See “ how do I file an insurance claim” in the next question. If you have Ordinance and Law coverage, which helps to pay to rebuild to the newest codes, tell your agent you want to build back to FORTIFIED standards. Make temporary repairs - Focus on keeping the rain and water out, and shoring up the structure if it’s safe. Save any receipts. Don't believe the claims from any contractors that you'll get a "free" anything or that you won't have to pay your deductible. Those are false and fraudulent statements. When's the last time an insurance company let you out of your deductible? We know that you want to get back in your home and back to normal as quickly as possible, but patience and diligence are the two things that will prevent you from being a victim twice. Learn more in our Avoid Fraud Section. Follow your policies guidelines - Most insurance policies have a section that details how to file a claim, follow what it says to make it easy for yourself. It should detail where to find and submit forms and the ways you can file them. These days you can call your agent, a 1-800 number or file online or through an app. Your insurer will be able to help you with your claim and give you advice. They will schedule an adjuster to come and visit your property. You can start your claim by phone or online with many insurers. You may also be eligible for additional incentives such as Ordinance and Law to build back to the newest building code. You should also ask about building back better by using certain standards, like FORTIFIED Home, or options to elevate your home to avoid the next flood. Your choices will vary based on your policy and your insurer. Take Pictures - Get out your phone or camera and take pictures of the damage before you start cleaning up. Yes, before you clean anything! You will need more pictures than you think. Different angles, wide shots and close up. The serial and model numbers of electronics. Down your hallways, into bedrooms, looking out of rooms, outside, inside. You cannot take too many pictures. Seriously. These will help you negotiate your claim with your insurance adjuster. If you have a home inventory, secure it or make it digital by taking pictures of it. Paper and pen can fade, saving your inventory to your email or the cloud keeps it accessible and legible. If you don’t have a home inventory, create one now. You will need it for the adjuster. It can be as simple as taking a video of each room and narrating what is in it. Be sure to zoom in on each big-ticket items serial number, brand, etc. Then later, make a list from your video. You can create a list based on the photos you took of the damage. If you have pictures from before the loss, include those too. If possible, match your pictures and list of items with their original purchase receipts. If you don't have the original receipts, find and document the price of a comparable item now. Save your receipts - From receipts from every expense from the day of the damage until your home is back to normal. If you have old receipts for purchases, take pictures of those too. Digital pictures don’t fade, receipts do. Plan to do this with any receipts you get for future purchases too. Prepare for a visit from your Insurance adjuster - Have a copy of your home inventory and the damaged items ready to share. This will make it easier for the adjuster to evaluate your losses. Q: 3) How do I negotiate a homeowners or flood insurance claim? Work with your adjuster - Have a copy of your home inventory and a list of (or photos and documentation of) the damaged items ready to share. Be prepared to follow-up with additional information. Negotiate your claim - Once you receive your initial claim proposal, you can negotiate with the adjuster. Use your home inventory and damage checklist as proof of what you lost and ensure the replacement costs are correct. If you have Ordinance and Law coverage in your homeowners policy, make sure that was taken into account. Use that extra 10% of coverage to build back or re-roof to FORTIFIED Home standards. Use any bids for repair work to justify the increased costs needed to fix the damage. Bringing your home up to code will add additional costs to the job. By doing so, you can argue that any improvements to the way your house is built now will reduce the risk of loss later. Q: 4) What can I clean after a disaster and what needs to be thrown out? Clean up - There can be many health hazards associated with cleaning up after a disaster. Use the advice of our friends and partners at SBP and the Red Cross on how to clean up safely and reduce your risk. SBP has many resources to help victims navigate the disaster assistance and clean up processes. The Red Cross has a useful resource guide on cleaning up after a disaster. You don't have to throw away or demolish solid, nonporous surfaced items such as porcelain, glass, some plastics (plastic utensils are not recommended to be kept), some family treasures and metal items like doorknobs, faucets, utensils, or sinks. Items with a nonporous surface can be cleaned, disinfected and reused. Many insurance companies won't pay to replace these items because they can be cleaned and reused. Check with your insurer. Angie's List has an excellent article on what can and cannot be saved. The HUD Field Guide for Cleaning and Flooded Home has additional tips on what to keep or throw away, as well as the proper way to clean and disinfect items that can be reused on page 7. The HUD Guide, Rebuild Healthy Homes provides a wealth of information and speaks about items that can be salvaged on page 44. Consumer Reports has an excellent article on salvaging valuables and other tips. This FEMA Fact Sheet, After the Flood: Advice for Salvaging Damaged Family Treasures, has links to many useful resources. Q: 5) How do I know if I need to rebuild, re-roof, or just repair the damage? Your insurance adjuster will work with you to determine the amount of damage caused to your home. This will include the amount of your claim to begin repairs. Find out from your adjuster how much was destroyed; this should be a percentage, 30%, 55%, etc. That percentage will dictate how much your claim is and what parts of your insurance policy apply. If the damage is 50% or more, check your homeowners insurance to see if you had Ordinance and Law coverage. This coverage will help you pay to rebuild your home to the current building code. If possible, try to rebuild to the FORTIFIED standards, that way you do not have to deal with this kind of damage again. If you will be re-roofing, visit our Roof It Right section. If you are starting over and have to rebuild because your home is a total loss, go to our Build Better section. We also recommend utilizing energy efficient building methods to lower your cost of ownership further (in this case, utilities). Q: 6) What if I have flood damage? Understand that if you flooded and you can get back to your property soon after the event has ended, you are responsible for “mucking and gutting.” Many flood policies (if you have one) do not cover mold remediation. Cut wet drywall four feet from the floor, or above the water line, and remove it. Put anything that was exposed to flood waters at the curb according to directions from your city. Save swatches of furniture fabric. Yes, this could be important for your claim. Save solid, nonporous surfaced items- Don't put the toilet, sink, tub, shower unit, sink faucet and knobs at the curb just yet. Some insurers will not cover the replacement of items that see contact with water in normal daily usage. These can be cleaned and reused. It is better to save anything that could be sanitized and reused and is not a total loss after exposure to flood waters. Use these tips and tricks from our friends at SBP to remediate and deal with mold. Q: 7) I don’t have homeowners or flood insurance, can I still recover? If you can afford to, use your Disaster Assistance grant, or a significant portion of it, as a down payment on your SBA loan to rebuild. Then use the SBA loan to build back to a higher standard. Remember, typically, the grants provided by FEMA will not be enough to cover the costs of rebuilding and living expenses while you are displaced. You should plan for both types of expenses, building expenses and the cost to live elsewhere while you build back. 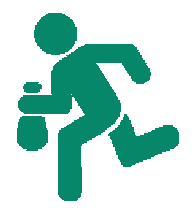 Our friends at SBP have set up many excellent resources to help victims navigate the disaster assistance process. Q: 8) How can I work with FEMA or qualify for Disaster Assistance? Even if your insurance covers all of your or most of your disaster-related repair or rebuilding costs, homeowners may still be eligible for disaster aid or the mitigation portion of an SBA loan. The SBA loan amount can be up to 20% of SBA calculated damages to your property and is a great opportunity to take advantage of a low-interest rate loan (as low as 1.75%) to invest in strengthening your home, including upgrading to the FORTIFIED Home standard. You must Apply for disaster assistance (see our Resource Section for more information on disaster assistance) to qualify for either of these programs. Recommendation - If you can afford to, use your Disaster Assistance grant, or a significant portion of it, as a down payment on an SBA loan to rebuild. Then use the SBA loan to build back to a higher standard. Apply whether you have insurance or not. Q: 9) How do choose a good contractor and avoid getting ripped off? A Bond to fix any lousy work they refuse to fix, just in case. At least three references you can call. Get everything in written bids and in written contracts on company letterhead. Do not leave anything out. Ask that they plan for additional costs such as replacing rotted wood or other typical items they think they could find. You may not end up paying for these but having them in the contract protects you from “surprise” costs. Once you select a contractor, get your contract in writing, again with everything you discussed, want to be included, and agreed on in writing on company letterhead. Don't forget to include those possible additional costs. It's okay for contractors to request a certain percentage of the costs up front as long as you have researched them and are under contract. 10-25% is common. Some states have limits on the amount contractors can request. Contact your local Consumer Affairs organization for information. No one is fraud-proof. When you have a claim, you want to get it paid, fix the damage, and move on. STOP, you could GOOF! This is an opportunity! Take a little time to consider your options, choose a qualified contractor, and get the work done right. Contact us if you need additional information or have other questions. Q: 1) Should I hire the first contractor that knocks on my door? NEVER recommended. Door knocking and solicitation are HUGE red flags for fraud. You can always add them to your list of 3-4 contractors who you ask to provide you bids. Legit contractors will usually have signs on their trucks, business cards, logo shirts and business license, insurance, references and will be willing to share all of this and wait while you check them out and call all these sources over the next day or so. NOTE - Some insurance companies have lists of approved companies they recommend. They may even give you discounts or incentives for working with these contractors. Do not let anyone push you into signing anything. Get three bids for any work first! You can always walk away and call or submit a complaint to the Better Business Bureau if needed. (www.BBB.org). NOTE - Be wary the "Door Knockers". This could be a scam. Many times they'll tell you they are working down the road because of the storm (wind or hail) and claim to be able to get you a free or low-cost roof, "just the price of your deductible". These may be out of town "fly by night" roofers looking to make a quick buck at your expense. Always get 3 bids, check qualifications, license, and insurance, get a signed contract and ensure permits are pulled. Q: 2) Do I need to file a claim and contact my insurance agent right away? They will be able to help you with your claim and give you advice. You may also be eligible for additional endorsements such as Ordinance and Law to build back to the newest building code. You should ask about building back better by using specific standards, like FORTIFIED Home, or options to elevate your home to avoid the next flood. Q: 3) Should I let my roofer or contractor work with my insurer? No. You should be the one to contact and communicate with your agent, adjuster or insurance company, at least at first. If your agent wants to speak with your contractor, that is the only time they should talk. It’s way too easy for scam artists to work the system and you. Get an update from your insurer after their conversation. Never share the amount of your insurance claim, the amount of your claim check or the amount you think you will receive. Contractors do not need this information to provide a sound and accurate bid for the work that is required to make you whole again. Never sign your insurance claims check over to a contractor. Stay in charge of your money. Pay them with your personal checks and get receipts. Make sure everything is in writing. NOTE- If you get caught up in a scam or insurance fraud, even unintentionally (like blindly signing a contract without talking with your insurer first), you can also be held liable for fraud, face fines or worse. Insurance fraud is a crime. Q: 4) Do I really need three bids for the work? Always. Shop around, get at least three written quotes (on company letterhead). Getting multiple quotes helps to make sure you work with legitimate contractors. Get copies of, or take pictures of, proof of business insurance (general liability, workman's comp), local/state business and contractor licensing and bonding (if carried or required). Ask for three references. FOLLOW-UP with your state's insurance department, your state's contractor's licensure board, city or municipality, local building code departments, and call references. HomeAdvisor has a great list of licensing requirement by state. Contractors you request quotes from should come out to your house to complete a detailed assessment of your home before quoting you. Accept nothing less. Q: 5) Do I pay my contractor the full cost, upfront? Never. A down payment is OK AFTER YOU SIGN A CONTRACT. Anywhere from 10% to 1/2 of the cost of the job is reasonable. Reputable contractors have a line of credit with their suppliers and can afford to wait until the job is done, and done right, to take the full payment. Some states have laws that set limits on the amount of a down payment contractors can request. Find out by contacting your states consumer protection agency. Don't believe claims that you'll get a "free" roof or won't have to pay your deductible. Those are false and fraudulent, and you will need to pay your insurance deductible if you're filing an insurance claim. Q: 6) Do I need a contract before work on my house begins? Make sure everything you have requested is listed on your contract, on company letterhead. If it's not included, DO NOT SIGN IT. Not including requested work in a quote or contract is a standard fraud technique to get more money out of you. You can be held liable for fraud if you're filing an insurance claim for any work not listed in the contract. If it's not in writing, videotaped or in photos, it didn't happen. Make sure your contract includes a clause for additional, legitimate work that may be found during the project. Without this clause, you could be scammed. Fraudulent contractors use "surprise" costs to line their pockets. REVIEW YOUR CONTRACT - If something you requested is NOT included in your final contract, and you ask for it later, it will cost you much more! Yes, even if you already agreed to it verbally and shook hands. Don't sign anything until it's right. If the contractor won't update your estimate, fire them and get a new one. FINAL PAYMENT- Always withhold your final payment, and don’t sign off on the work until you are satisfied, and your home is cleared of all construction debris. TIP - Use the down payment as a negotiation point. If you like their work but are uncomfortable paying what they ask for up-front, don't be afraid to walk away. Q: 7) Do I need a permit? Maybe, and you need to find out. If your area enforces Building Codes, there is a good chance you’ll need a permit for a new roof or repairs. ***If your home is determined to have damage of 50% or more, it will have to be brought up to the current building code. Make sure your contractor pulls the permit, that it has your address on it, and that you get a copy (take a picture if needed). If you have questions, contact your local Building Department or Planning and Zoning Board. Q: 8) Is it okay if my contractor only works on the weekend? Not usually. Weekend work is a HUGE RED FLAG. Building Code offices are closed on weekends, and no one is looking over scammers shoulders. This is a possible sign of unpermitted, shoddy and fraudulent work. Now, if you've talked with your insurer, have done your research, picked a qualified, licensed, bonded, reputable and insured contractor, have a signed contract and a building permit (with your address on it), then sure, weekend work is okay. Q: 9) My house was damaged during a disaster, what should I consider? First, if your home is damaged by a disaster, make sure it’s safe to enter your home. Then, contact your Insurance Agent and file a claim (Question 2). Take Pictures - Get out your phone or camera and take pictures of everything before you start cleaning up. Yes, before you clean anything! You will need more pictures than you think you need. Different angles, wide shots and close up. Save evidence of loss - If you were flooded, save swatches of furniture fabric. Yes, this could be important for your claim. You don't have to throw away or demolish solid, nonporous surfaced items such as porcelain, glass, some plastics (plastic utensils are not recommended to be kept) and metal items like doorknobs, faucets, utensils, or sinks. Items with a nonporous surface can be cleaned, disinfected and reused. Many insurance companies won't pay to replace these items because they can be cleaned and reused. Check with your insurer. Find or create a Home Inventory - If you have a home inventory, secure it or make it digital by taking pictures of it. If you have old receipts of purchases, take photos of those too. This video, FORTIFIED Building, provides an overview of how to Build Better and the features of FORTIFIED construction. Protect every other investment you make in your home and benefit your wallet for years to come. Learn how a few extra steps when building or retrofitting your home can protect your possessions, increase your home’s value and potentially save you money on insurance and utilities. Q: 1) Why do I need to build better? Building better first protects every other investment you make into your home. Without a strong home, you’re vulnerable. Storm shutters, new granite countertops, and energy efficient, smart everything. All of it is useless when your roof or home is damaged, water gets in, and your house fills up like a bucket. Q: 2) What is FORTIFIED Home™? FORTIFIED Home™ is a nationally recognized building standard based on over 20 years of research and testing by the Insurance Institute for Business and Home Safety (IBHS). You know the crash test dummies for cars used by the Insurance Institute for Highway Safety? Same idea, but IBHS "crash tests" houses and buildings to learn how to build them better and stronger, making them more disaster-resistant. Check out this video to see how FORTIFIED performs vs. standard inland construction. Q: 3) I’m building a new home, where do I start? Oh, this question is easy. Contact a FORTIFIED Evaluator. For most people that's it. Get the Evaluator involved at the beginning of your project. Put them in touch with your Home Builder and engineer. That way you know there will be no hiccups along the way. Extra Note - If at all possible get them involved before blueprints are finalized, only because some products may need to be swapped out for those that meet specific standards. Even this is too much information for some homeowners. Contact an Evaluator, and they can handle these details. Q: 4) What makes a FORTIFIED home different from a normal home? The FORTIFIED Home program goes beyond current building codes (it is code-plus) and strengthens your home against storm damage. It's unique, common sense approach to construction requires documenting and verifying all aspects of work. It's the documentation and verification that's key to protecting you and also to providing homeowners breaks on insurance. Watch this video and learn about the FORTIFIED program in three minutes. You probably heard that the certificate is good for five years in that video, right? That's because a FORTIFIED designation is renewable! You'll need to have your home re-inspected by a FORTIFIED Evaluator after five years. That's to make sure your roof has at least five years of life left and that your home hasn't been damaged or if you've added on, that it's been done to the FORTIFIED standard. Q: 5) How do I build to FORTIFIED Home standards? Here are the steps we recommend. The first - hire a FORTIFIED Evaluator. After that, much of this is done for you. If you are re-roofing or rebuilding - The Evaluator will create a Current Conditions Report. This report tells you what needs to be done to get your FORTIFIED roof. It also serves as a scope of work for contractor bids. Make sure contractor bids include all of the requirements for the “FORTIFIED Home™ Designation you choose. If they don't, or worse, won't do it: get another quote. Use the Right Products - Using the right products is key to FORTIFIED. Installation is the other key. Dive in and find more of the information you need with our recommended tips and resources. A FORTIFIED Evaluator or Professional can guide you through the details too. Contact us if you have questions. Homeowners Insurance - First, damage from flooding is not covered. If you have flood damage but no flood insurance see our Dealing with a Disaster Section for more information. In 19 states, a wind insurance policy is separate from your homeowners policy and will have a different deductible and covers specific damages. Flood Insurance- Learn more about the coverage provided by flood insurance on SmartHomeAmerica.org. Start at FloodSmart.gov to quickly find out if you're at risk, get tips, resources, where to buy and what to ask your insurance agent. Learn about the Pew Charitable Trusts Flood Prepared Communities project and find additional resources that may be helpful for you. SmartVent.com - They've spent many years studying the science of flood mitigation, and the effects flood waters can have on a poorly protected home. In fact, the SMART VENT Team is certified to instruct and provide learning credits to Architects, Builders, Certified Floodplain Managers, Code Officials, Engineers, Insurance Agents, Realtors, and Surveyors in many states. The National Flood Insurance Program (NFIP) site explains, in depth, FEMA's National Flood Insurance Program, which aims to reduce the impact of flooding on private and public structures. Download this FEMA FACT Sheet for information about the National Flood Insurance Program and Flood Insurance. Floods.org lets you find your local or State Floodplain Manager and helpful resources.The Association of State Floodplain Managers (ASFPM) is the world's leading voice for sound floodplain management, science and policy. Learn how mitigation can help you save. You're not helpless, and there are options. Flood vents, break-away walls and elevating your home can reduce your insurance costs and your risks. Download this brochure from FEMA to learn about the top five ways to lower your flood insurance rates. Encourage your community to get involved in the Community Rating System (CRS). It recognizes floodplain management and outreach activities performed by communities that exceed the NFIP minimum standards. CRS acknowledges these efforts by reducing the cost of flood insurance premiums by 5 to 45 percent for flood insurance policies in communities that participate in the CRS. Contact your local Floodplain Manager of Elected Officials to see if your city is involved or the feasibility of getting started. SmartHomeAmerica.org breaks down FORTIFIED, insurance and ways you can save money and protect your home in easy to understand terms. Shop Your Insurance! Get quotes from five different insurers. The savings available can be drastically different depending on the insurer you choose. Replacement Cost Coverage (RCV) vs. Actual Cash Value (ACV) Coverage - When it comes time to shop for your insurance, we recommend RCV over ACV coverage. Here is an excellent explanation from the Texas Department of Insurance. Talk with your insurer for more information. Get the best insurance you can for your budget, and remember, the cheapest insurance is usually not the best. Consider what is covered, if you’ll be paid to build back to the latest building code (Ordinance and Law), what your deductible is and do you have this in the bank? If you can afford the out of pocket costs, you will have with ACV coverage compared to RCV coverage. RCV pays to replace items fully, ACV will pay you a depreciated value based on the age of the item. Our partners at SBP have the resources you need. Visit their website. Hopefully, they will have what you need. If not, contact us. Is disaster assistance for me? Apply if you were affected, whether you have insurance or not. Apply online for an SBA Homeowner loan or check your status. These are low-interest disaster loans designed to help you rebuild if you are eligible. Our friends at SBP have set up many resources to help victims navigate the disaster assistance process. If you don't have flood insurance – If you can afford to, use your Disaster assistance grant, or a significant portion of it, as a down payment on your SBA loan. Then use the SBA loan to rebuild. We recommend building back to a higher standard, or code-plus standards, using FORTIFIED. Building codes are the minimum standard you have to build back to, a little bit of extra investment now, when rebuilding, can help avoid future damage and having to deal with this mess again. Typically, the grants provided by FEMA will not be enough to cover the costs of rebuilding and living expenses while you are displaced. You should plan for both types of expenses; building expenses and the cost to live elsewhere while you build back. Download these brochures or contact us. All FORTIFIED Home Construction Standards, technical resources, and brochures. Learn how our partner, Huber Engineered Woods and their Zip System can help you Build Better. Visit DisasterSafety.org for more information about the FORTIFIED Home program, IBHS, their research, results, and recommendation. There can be, visit these organizations to learn more about them and what they can offer. And don't forget your local credit union or bank. Strengthen Alabama Homes - Provides homeowners in Mobile and Baldwin Counties, AL up to $10,000 to upgrade their homes to the FORTIFIED standard. South Carolina Safe Home program provides grants to homeowners to mitigate and upgrade their homes to resist high wind damage. HUD 203(k) Loans - enables homebuyers and homeowners to finance both the purchase (or refinancing) of a house and the cost of its rehabilitation through a single mortgage or finance the improvement of their existing home. Search for local and state tax credits, rebates and savings for energy efficient upgrades to your home on the Department of Energy website. Below is a list of additional questions we get asked often. Please read through them, we hope they are helpful. Contact us if you have any other questions. First, if you are asking any of these questions, please, contact us. Can my roof be FORTIFIED if it is less than ten years old? Doesn’t my local building code already require FORTIFIED? My metal roof automatically qualifies for FORTIFIED, right? A good contractor built my home, how do I get my certificate? What if I know a good a contractor, like my brother, sister, dad, or cousin? I can pull my own permit; do I need a contractor, or can I do it myself. What is a FORTIFIED Evaluator™? FORTIFIED Evaluators™ are like Switzerland, independent. They don't work for the builder; they don't work for the Building Code Office. They are the only trained and certified professionals who can help you earn a FORTIFIED Designation for your property. If you are not working with an Evaluator, your home or business cannot be verified to meet the program standards. Not working with an Evaluator means you be able will not be able to take advantage of all the benefits of the program including insurance discounts. How significant are the FORTIFIED roof discounts and are they worth it? In Alabama, a FORTIFIED roof gets you up to 35% off your wind premium. In Texas, you can save up to 33% under the TWIA discounts. This is where we say, “It depends on what insurance company you are with and where you live” because it does. Use our Insurance Incentives Map to find out more information about your area, contact your insurance agent and shop for your insurance. What should I expect when rebuilding after a disaster? Don't I just call my insurer and they take care of it? No. Rebuilding is not something you can casually breeze through. It is usually not easy and can be very frustrating. People may try to take advantage of you and rip you off. Not everyone, but some people. After a disaster like a hurricane, flood or tornado, there's a lot of money exchanging hands, and this brings out the worst in some people, unfortunately. We want you to be prepared. If you are not ready with the knowledge you need it could cost you so much more money and time, and you could be a victim of fraud. In the worst case, insurance payments you received could be taken, and the work you needed to be completed could be left unfinished. You will be left responsible for having it finished and tracking down the contractor you trusted and hired to get your money back. Follow our guidance, and you’re much more likely to avoid this stress. Do I have to use a specific contractor or can I use anyone? Any contractor can perform the FORTIFIED improvements as long as the process is strictly followed. However, the FORTIFIED Home program offers specialized training and maintains a list of FORTIFIED Wise Professionals who have taken courses and demonstrated knowledge of the requirements. Can I be my own contractor? You need to know what you’re getting into and the responsibilities involved. By acting as the contractor, you may be personally assuming the liability for any injuries or damage that could happen on the job site if you do not have the right insurance and licensing. If you are using sub-contractors, this is even more important. Be mindful of the local and state Building Codes, laws and regulations. In many areas, contractors must have general liability insurance, a business license, be bonded and hold a state Home Builder or contractor's license. My contractor says we don't need a building permit to replace the roof, is this true? It depends. Some areas do not have building departments and do not enforce any building codes. In areas with building departments, a permit to replace your roof may be required. Check with your local building department or planning and zoning department. How does FORTIFIED save me money? Owning a home costs money: mortgage, insurance, utilities, taxes, and maintenance- it adds up. Throw in the expense of an insurance claim or two, and your costs just jumped. These are the costs of ownership, and they never stop. Savings on your wind insurance premiums can pay for the expenses of FORTIFIED upgrades over the life of your roof. It’s a worthwhile investment with many benefits; a stronger home, peace of mind, lower risk, and lower insurance rates, to name a few. Is a FORTIFIED roof costly? In most cases, getting a FORTIFIED roof adds only a small amount to the overall cost of re-roofing. That said because your roof is a system made up of many parts, not just shingles or metal, your roof may require additional retrofits to earn a FORTIFIED Home™ Bronze Designation. The only way to know how much it will cost is to contact a FORTIFIED Evaluator and have them evaluate your property before you start your re-roofing project. Read the FORTIFIED “cheat sheet” for a quick rundown of what is required under the FORTIFIED Home Hurricane program. Here are all the FORTIFIED Home brochures, standards and technical summaries in case you'd like to learn more. I have a FORTIFIED roof, is my house invincible? Your house is FORTIFIED, not a fortress. One is strong and costs you less to own; the other is a fortress (with a moat and everything).  Our goals with FORTIFIED are to make your house stronger, give you peace of mind and substantially increase the chances that you have a livable home to come back to after a storm, not to mention save you money on your insurance. Let’s be clear, GET OUT when told to evacuate. After my project is finished, do I need to let my insurer know? You pay insurance premiums for a reason, don't you want to lower them? They will want to know that the work is done and may have some additional information or questions for you. Improvements to your home or bringing it up to the current building code may lower your premiums. NOTE- After making major repairs, or upgrading your home to FORTIFIED standards, we recommend Shopping for your Insurance Coverage (again, get at least three quotes). Try to save money and get better coverage. Look into Replacement vs. ACV coverage. Bottom line, get the best value for your budget. Thank you to our sponsors who don't believe in goofing when re-roofing, or rebuilding. Learn how they can help you build better, save on insurance and protect your home. If you have questions, email info@smarthomeamerica.org or call 1-855-742-7233. Don’t Goof When You Re-Roof® and Don't Goof, Flood Proof® are initiatives of Smart Home America, a 501(c)(3) nonprofit organization. Our mission is to create stronger communities through collaboration, education and the promotion of resilient and sustainable policies, products and building methods. Many thanks to the Insurance Institute for Business and Home Safety for videos and resources.